That’s Right! No Sugar! No Butter! No Flour! 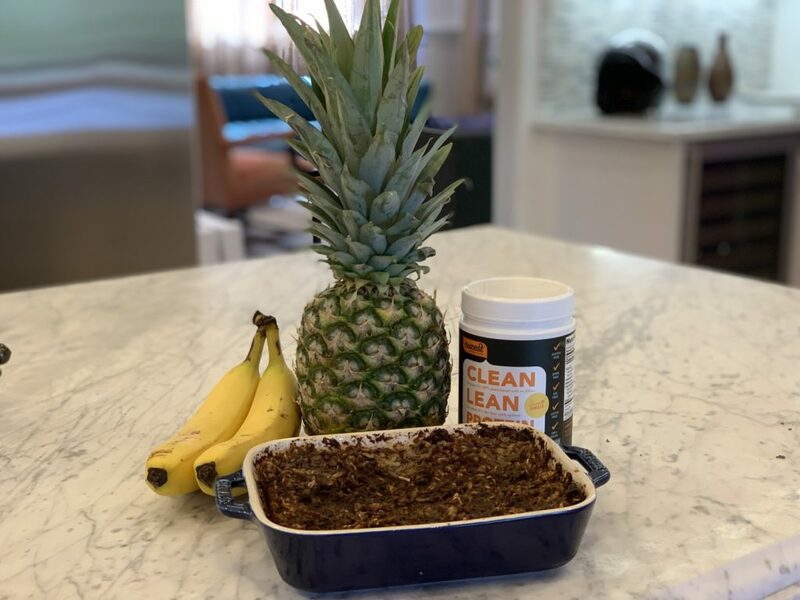 Pineapple Sports Bar Cake with NO butter, sugar or flour!! 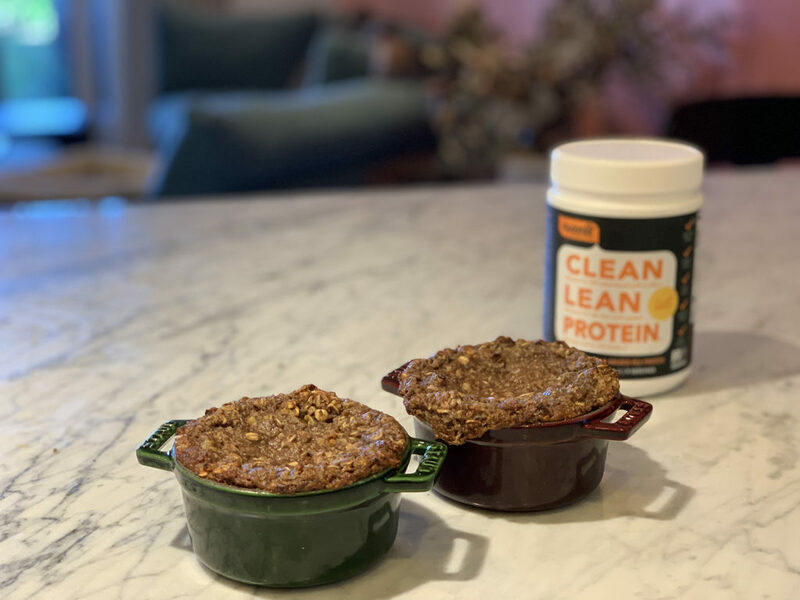 With the help of Clean Lean Protein by Nuzest, these bars (or cake!) are protein packed! With the help of sweet pineapple these bars have no sugar! And with the help of oats, pecans and lots of love, these bars are nothing but pure goodness! Plus the great folks at Nuzest have given my viewers something special. Try your own Nuzest Trial Pack with 4 delicious flavors for only $9.99 and free shipping from Nuzest. Click here for special offer. 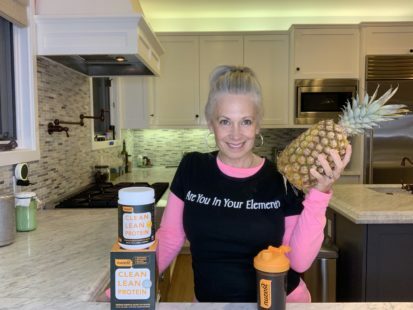 I have been baking with Smooth Vanilla, but Rich Chocoalte, Real Coffee and Wild Strawberry have all made their way into my juices and breakfast bowls! 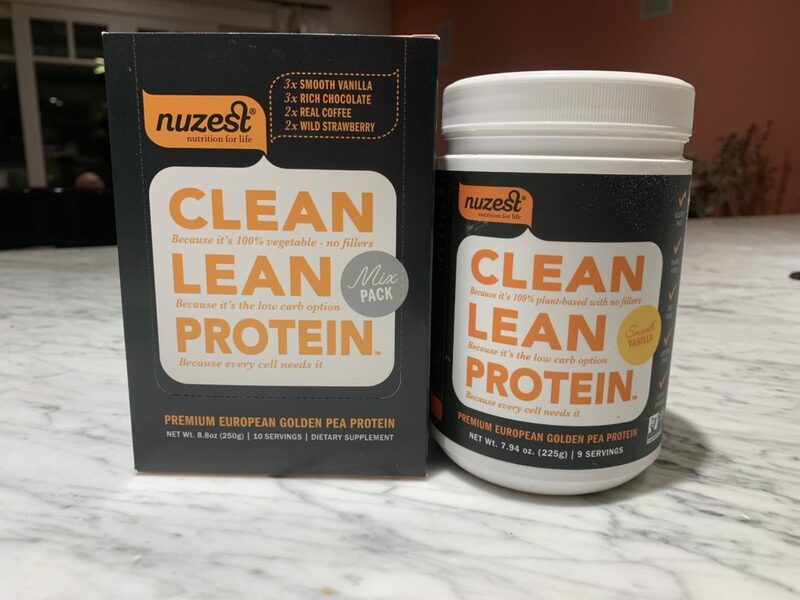 Now part of my daily routine, I think you will like Clean Lean Protein by Nuzest, too! Try it and let me know whaty ou think. And let me konw how this Pineapple Cake works out for you!! I cut mine up into bars and freeze them. Then, when I am hiking, I take them along with me as protein bars and filling snacks…and treats! options : caramelize pecans by frying up wth oil and sugar and placing on top. Mush bananas into paste, the more brown the better. Put 1 cup of pecans in Cuisinart and pulse until they are heavy crumbs. Place in bowl. Put two cups of diced, fresh pineapple in Cuisinart and pulse until it is heavy, pulp filled liquid. Place in bowl and mix. Combine Nuzest, oats, nutmilk, salt, vanilla, baking soda and date syrup in same bowl and mix all. Spread in batter to two, 7″x9″ baking pans. Heat for 25-30 minutes. Let set and cool. 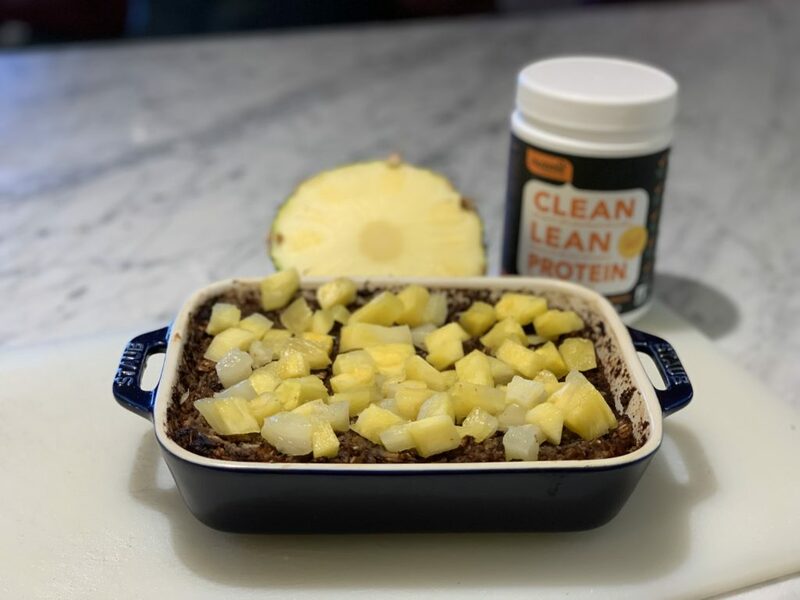 Dice up fresh pineapple and place on top only minutes before serving. This video was originally recorded on Jane Velez Mitchell’s FB Page, #JaneUnchained! SUBSCRIBE to Awesome Vegans with Elysabeth Alfano on iTunes and on my Youtube Channel, Elysabeth Alfano. And be sure to subscribe to my monthly newsletter to never miss a Facebook Live interview session or live cooking demos.